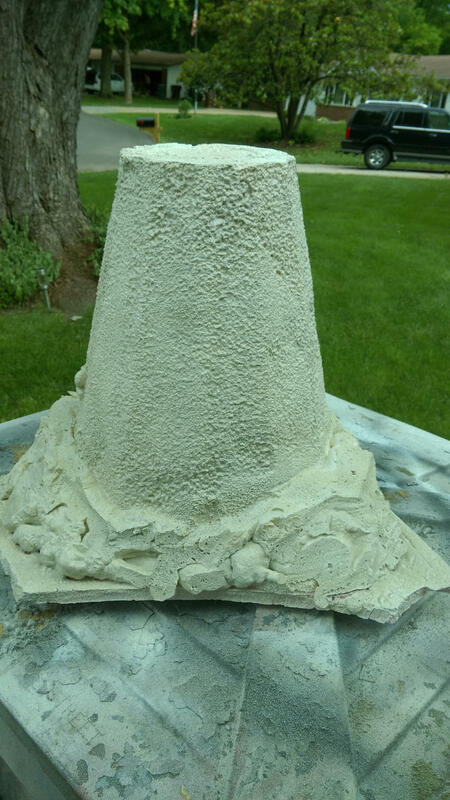 Between rain storms I've been working on the Hive Towers. 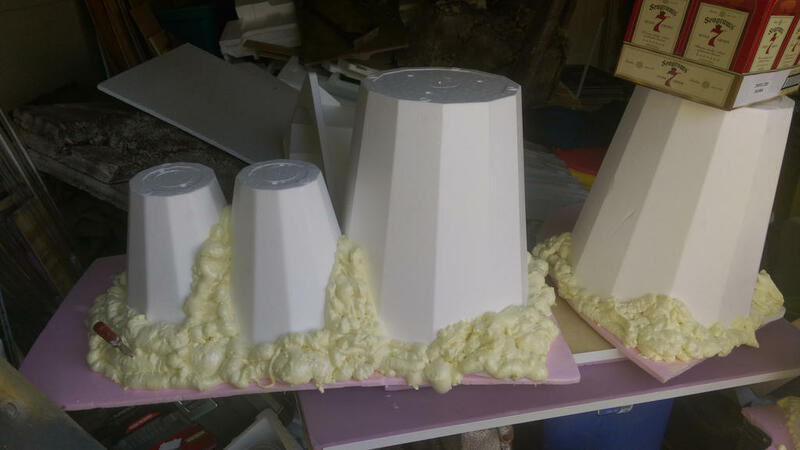 In terms of materials I used the styrofoam planters, sheet foam and spray foam. 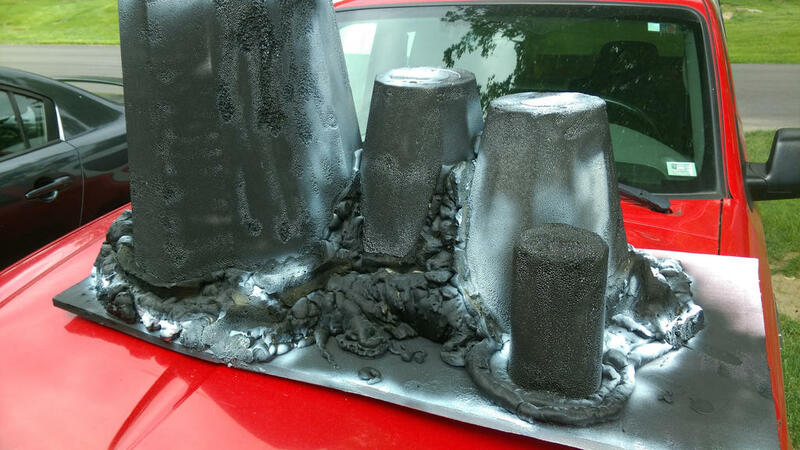 I used automotive primer and texture spray paint. The planter is a very regular shape. 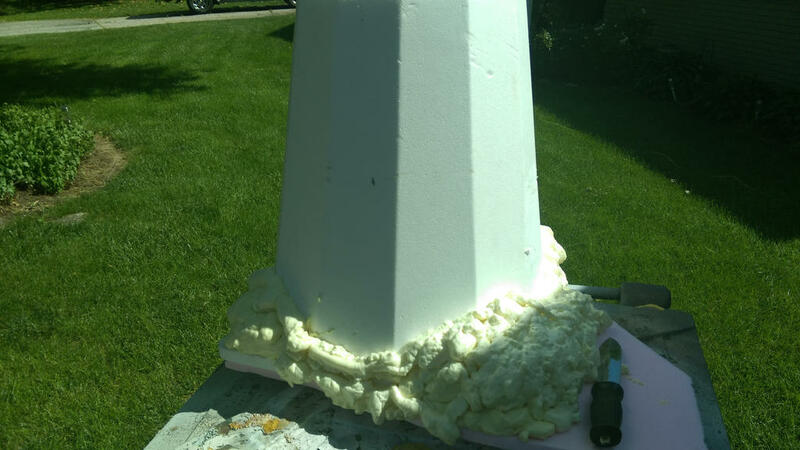 The spray foam covers the base, bonds the planter to the sheat foam and breaks up some of the regularity of the planter. Another thing that will help with that is the spray paint has solvent in it. That solvent will eat the various types of foam, to a greater or lesser degree. It etches the regular edges of the planter, and makes the flat sides less true. Using vertical spray movement seems to give a more believable surface. The texture paint also etches the surface, but provides a stoney surface. I'll flock the base and the use flock in other areas to add interest and detail. 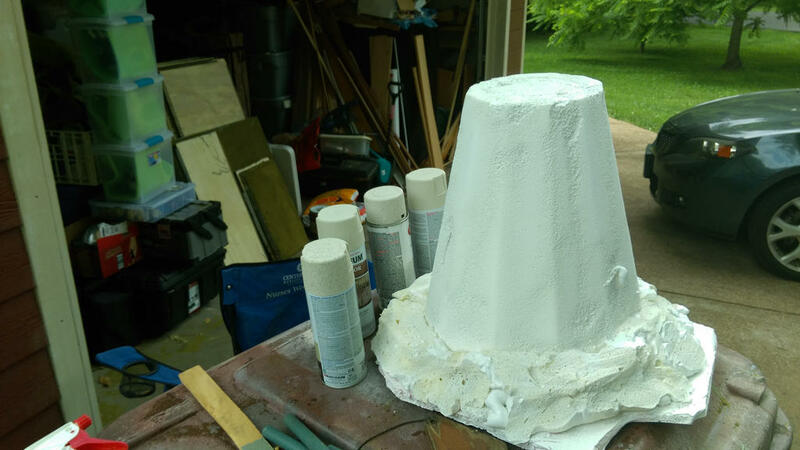 I've linked several various planters and other styrofoam shapes to form a larger set of Hive Towers. These will also get the various layers of spray paint. I'm building "scatter" terrain that is a couple of feet on a side! The Table is going to look so much better than last year! I'm really excited to be putting this game on for folks! Can't wait to see the finished product and read the after action report. The last one was terrific and you look to be trying to top it. I tried to use fabric for the terrain last time, with the vertical features being under the fabric. It din't look good, in fact, even when in play it looked like the table was covered it appeared to be draped for after hours. This year hopefully no such problems. I'm supposed to have three 8 foot tables for play and four for putting out figures and holding carrying boxes and what not. I also will be bringing three smaller folding tables for additional Hive areas. This should offer some serious tactical problems for the Human players, as well as some new ones for the Bugs. I really like the middle picture with the surface layer eaten away. In fact I wouldn't cut back anything with the later pieces and even spray areas extra if you want to eat away some of the foam, it just looks more natural. One trick I learned if you want to stop the foam from being eaten by the paint solvent is to have some type of water based acrylic paint or caulk to stop the process (or neutralize it some. It keeps thinner pieces from being eaten away completely. I think this is going to look awesome. Next year will be the tunnels inside the pieces. Keep us up to date. Thanks! If you are at Origins please stop by and say hello! Even better play for a while! 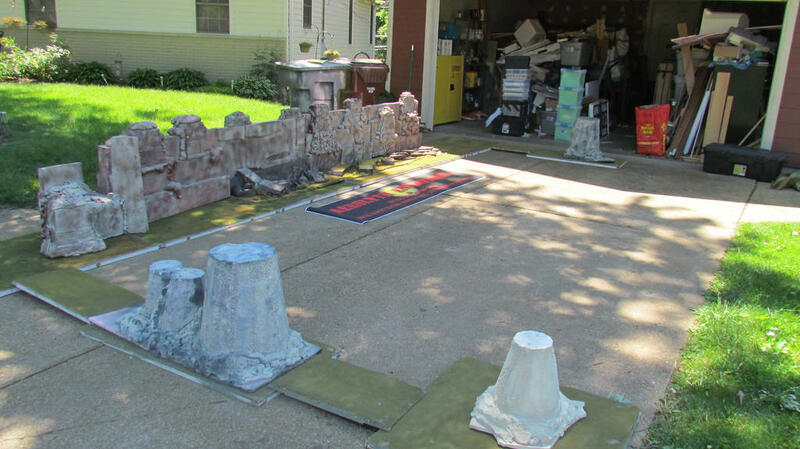 Here is what the entire layout looks like, in my driveway! This driveway will hold 4 normal cars. So look forward to intense widespread bug carnage at Origins!